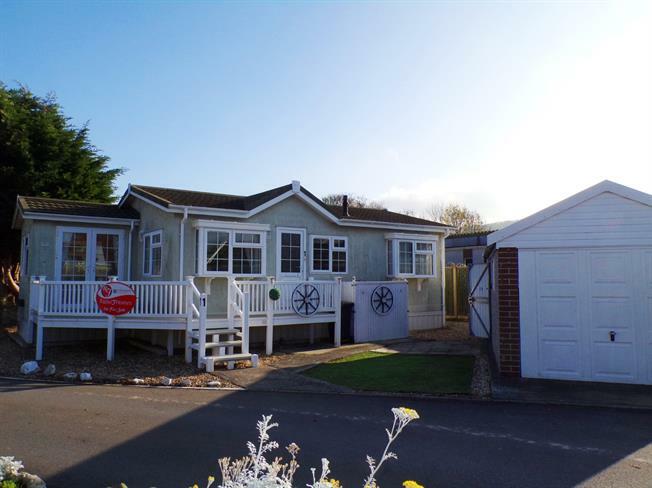 2 Bedroom Mobile Home For Sale in Banwell for £110,000. This beautifully presented two bedroom park home is offered to the market with no onward chain and the added bonus of a single garage. The property is situated on a prime corner plot and has a pleasant outlook across the fields from the decking area. Internally, the property comprises in brief of a large living room with electric fireplace and dual aspect windows, dining area, modern fitted kitchen with plumbing for washing machine, two double bedrooms and a refitted stylish shower room.